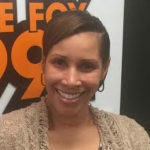 Tanisha Bagley is an author, public speaker, entrepreneur and advocate for victims and survivors of domestic violence. She is also the founder of E.N.S.H.R.I.N.E. (Everyone Needs Support, Help Respect, Inspiration, Nourishment and Empowerment), a non-profit organization that provides safe housing, financial support, job training, mentoring and counseling for women and children who have been victimized by domestic abuse and violence. Tanisha’s personal testimony (as a survivor of domestic violence) has inspired audiences across the country. Her real life story of tragedy and triumph is featured in a documentary entitled, “Something So Beautiful”—available from Interact, a safety support and awareness agency for individuals impacted by domestic violence. She is a mother of three and currently resides in the State of, NC. and enjoys spending time with her children, enjoying nature, and watching her favorite horror movies.